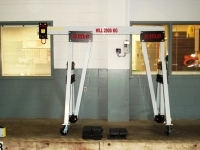 These Davit & Gantry Crane case studies demonstrate how the eme commitment to the best lifting solution gets results beyond customer expectations. 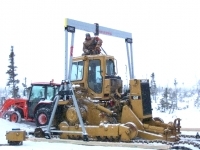 Tapco Inc, the largest manufacturer of grain buckets in North America was looking for a lightweight, portable and cost-effective lifting solution to an innovative marketing program. 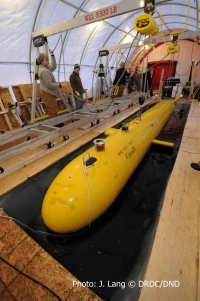 In order to chart Canada's Continental Shelf, the Canadian Government used mini-subs to go under the ice. The challenge was how to launch the mini-subs through the ice. 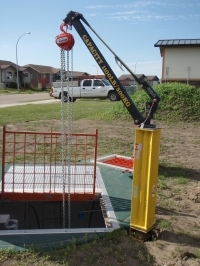 Davit Crane and Socket Extender solutions from eme gave this municipality the tools it needed to work efficiently, without any impact on the area around the sewage tank. 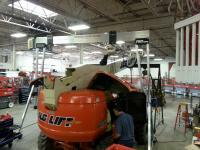 For this rental house, the challenge was making scissor- and boom-lift maintenance more efficient. A tight space, uneven wall heights and a 10,000 lb. object that needed to be moved... this was tricky! 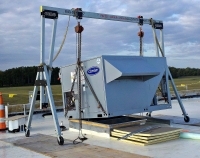 A Rental Gantry Crane makes light work of a heavy rooftop task! Lifting three 3,500 lb. 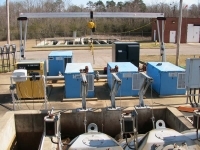 pumps out of a deep pit was made easy with a Gantry Crane from eme. 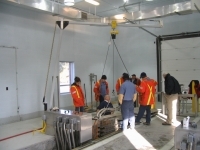 Maintenance time and expense were reduced considerably at this Water & Wastewater Treatment Plant, with this easy-to-use Davit Crane solution from eme, using the VRA300. After this challenge was handled for the City of Kingston, the Gantry Crane was re-purposed to service equipment in other parts of the plant. The time savings gained by this solution from Easily Moved Equipment meant our client, Remote Access, was able to recoup the cost of the Davit and Socket on the first job. Lifting two 16,000 lb. 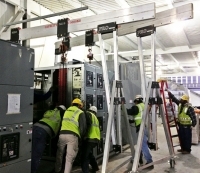 electrical cabinets was a tough job, but with eme Gantry Cranes it was done on time and on budget. 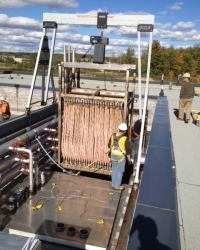 At this Wastewater Treatment Plant, more Sockets and fewer Davit Cranes led to significant savings. 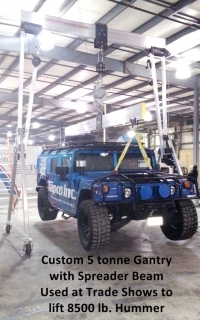 Not only did the eme solution with our aluminum Gantry Crane save time and money, the Gantry Crane could be left out in the tough tundra weather. 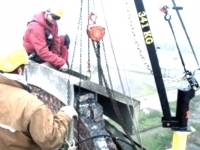 We can help reduce costs, increase efficiencies and make work safer at your facility or project site. Enter your email address below to receive relevant industry & product information.